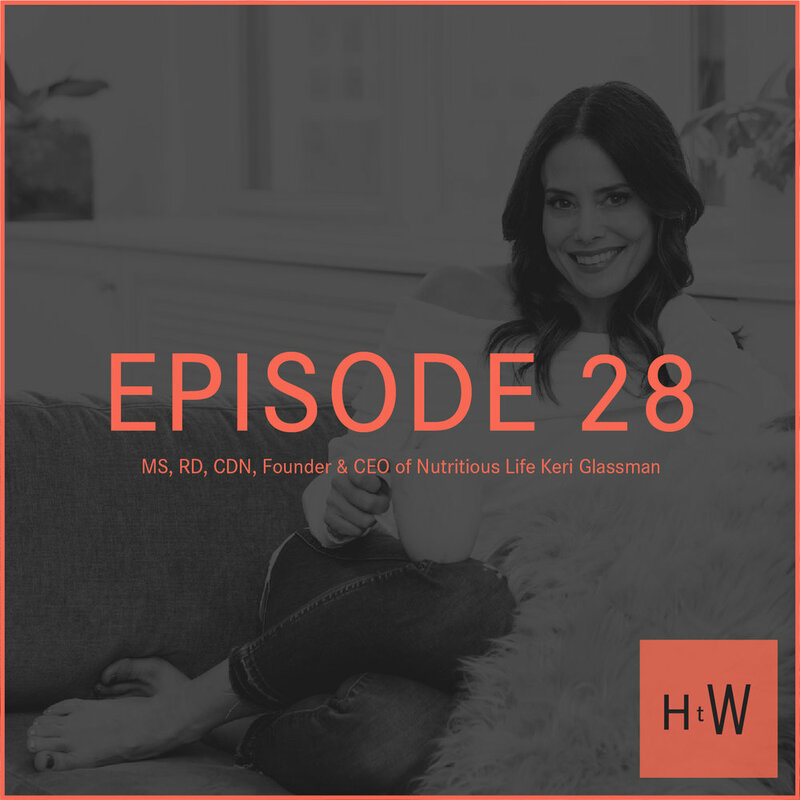 Our lovely friend Keri Glassman is a fabulous celebrity nutritionist and the Founder of Nutritious Life, and today, she’s going to teach us what is up with OILS! Keri is an OG in the holistic wellness industry with over 15 years of educating both consumers and experts under her belt. As both an expert on all things nutrition AND a badass lady founder, we were thrilled to sit down with her and hear what she’s done with her Nutritious Life Studio classes and then dive into some burning questions. Discussed over Black Sesame Pie from @rawsometreats…. We’re always working on ourselves, always growing to become better, more comfortable, and more confident people... and that’s why we’re happy to trade a few wrinkles for a happier, wiser, and more confident life! How we met Keri over a decade ago, pioneers together on the front lines of wellness before juicing, yoga, and self-care became trendy. The 8 pillars of a Nutritious Life: Eat Empowered, Sweat Often, Stress Less, Sleep Deep, Live Consciously, Drink Up, Nurture Yourself, Love More. Everything you need to know about cooking and eating oils: how much fat should we be having, why is (some) fat good for us, why are some oils better than others, and why does the smoke point matter for cooking? What’s up with the controversy around coconut oil and is the widely reported on study about coconut oil credible? What the hell is canola oil, exactly, and why is it in pretty much every single packaged food? The different extraction methods used to get oils and which ones creates the healthiest, safest oils for eating. How you can use oils outside of cooking: moisturizer, lube, & oil pulling. Chew on that!